LandRanger Deeside 4×4 are Land Rover, Range Rover, Freelander, Discovery, Defender and Evoque Specialists in North Wales, Cheshire and Wirral. Our highly trained technical experts can service, repair and upgrade any aspect of your vehicle. We’ve been fixing Land Rovers since 1986, and we’ve fixed every model out there from the early 1954 Defenders to the latest Range Rover Evoque’s. From new brakes to engine rebuilds we have the capacity and technology to expertly fix and repair your vehicle. Are you looking to go away for the weekend? maybe explore the Scottish Highlands? then hire a Range Rover for the weekend and explore in style! Our Hire packages include everything you need to get started from a tank of diesel to fully comprehensive car insurance. Call for a Quote. Are you searching for your next dream Land Rover? All of our second hand Land Rovers go through a vigorous inspection and safety check, ensuring your purchase won’t let it down on the road ahead. Of course all our cars come with a 6 month inclusive warranty. Welcome to LandRanger Deeside, Land Rover and Range Rover Specialists in North Wales, Cheshire and Wirral. For over 25 years our highly experienced technicians have provided outstanding service with flawless quality, which is backed by our outstanding reputation. If you own a Land Rover, Range Rover, Range Rover Sports, Freelander, Defender, Discovery, Evoque or Vogue we are your one stop shop including repair, service, upgrade and parts. When it comes to upgrading your Land Rover, the options are limitless just like our parts menu. One of our specialist areas for upgrading is ECU Re-Mapping. Sotalol which should actually cause mood swings affects mood stabilizing me although I suffer from depression and borderline. Side effect are unfortunately very many there. Buy safely at https://fdlist.com/! 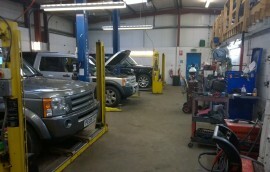 We use the latest technology to diagnose your Land Rover / Range Rover quickly and efficiently. Autologic is a state of the art system that quickly scans your vehicle. Serving North Wales, Cheshire and Wirral and all the surrounding towns, we have the ability to service all types of Land Rover at well below main dealer prices. All Landrover/Rangerover models for sale.Finance available through Close Brothers Finance. Recently had my Range Rover Sports HSE 2.7 V6 serviced by LandRanger Deeside, could not fault the service or the price. Much more impressed than the service at Land Rover in Chester, will happily bring it for the next service! 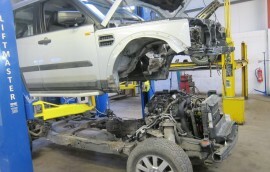 Sadly after many years my favourite Land Rover Discovery engine gave up then blow up. Thanks to the lads at LandRanger Deeside they offered me an engine rebuld solution, which worked out so much cheaper than having to buy a new 4×4. Thanks guys! LandRanger Deeside have serviced my 4×4 for years and their expertise have always been on hand to solve any problems quickly, and most importantly they have been great value. Would recommend any time!